To serve as a vehicle to receive memorials and gifts from Rotarians and Non-Rotarians and estate plan giving. These funds will be distributed to enhance the quality of life for the Yakima area and its citizens. Yakima Rotary Charitable Foundation becomes Yakima Rotary Trust with all Yakima Rotary Clubs participating. The Trust has also received many generous gifts from Rotarians and community members. The first gifts included a visionary fund of $25,000, a bequest from the estate of Merritt Bloxom of $10,000, and a bequest from the estate of John Quick in the amount of $200,000. In 2011, the Trust was also the beneficiary of a be­quest from the estate of Bill and Faye Rounds of $825,000. 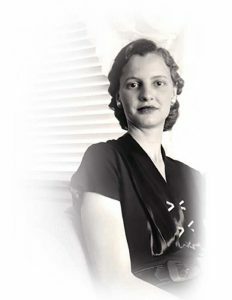 In December 2008, Mollie Davis passed away leaving an educational bequest of $20 million dollars to fund two and four-year scholarships to benefit residents of Yakima County. The Yakima Rotary Trust was named the administrator of these scholarships. The Yakima Valley Community Foundation manages the fund. The Yakima Rotary Trust went on to develop the scholarship program in Mollie’s vision. In 2010, the Yakima Rotary Trust awarded the first Mollie Davis Scholarships and has been administering the program since. In 2011, The first project undertaken by the Trust was a collaboration with the Kiwanis and Lions Trusts for the de­velopment of Kiwanis Park located in Southeast Yakima. Community benefactor Helen Jewett contributed $100,000 to each Trust, and the late Senator Alex Deccio in concert with the City of Yakima and the State of Washington obtained additional funding. When completed $217,000 in bequests to the Yakima Rotary Trust turned into a $5 million dollar project called the Gateway Sports Complex. The evolution of the park has been phenomenal. A playground, basketball court and picnic shelter were constructed in 2010 by the three Yakima Rotary clubs. 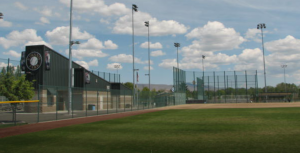 In 2012, on adjoining land purchased by the Yakima Rotary Trust, three lighted fields for youth softball along with a full-service concession stand were added.